93 kilometres south of Sicily, almost slap-bang in the middle of the blue Mediterranean, the Maltesearchipelago comprises three inhabited islands, Malta, Gozo and Comino. Since the whole area adds up to only 196 sq. kilometres, you can understand that it was no easy task to come up with a marathon route of 42.2 kilometreswithout going round and round in circles. Since Malta is almost wedge-like in shape, with high cliffs on one side of the country tapering down to sea-level on the other coast, we did the best thing possible: start at the island's highest point and finish at the lowest. But let's forget the marathon for a moment and talk about Malta itself. You want history? You are in the right place, Malta is the home of history. While you are here, consider visiting the megalithic temples at Hagar Qim Ggantija, and Mnajdra, dating back 3,000 years. From the Stone Age, Ghar Dalam and Skorba. From the Copper Age, Xemxija Tombs and Mgarr temples. For something more recent, soak up the wealth of rich history surrounding the knights of the Order of St John of Jerusalem, once the most fabulous figures in Christendom. Visit the Upper Barrakka Garden in Valletta and overlook the Three Cities that cluster on the opposite shore around the Grand Harbour. Built to withstand 'the Ottoman Turks during the Great Seige in 1565, the cities were followed soon after by the founding of the capital city of Valletta itself. Or else take time out and visit the "Silent City" of Mdina whose main gate hosts the start of the Malta Marathon each year. Admire the grand architectural vision of the knights in this city which served as Malta's capital prior to the building of Valletta. However don't go away with the idea that history is all we have in Malta. The sea surrounding Malta is the clearest, cleanest and bluest in the Mediterranean, still free of the pollution that affects Italy and southern France. One of Malta's most precious assets, it has no tides to speak of, no treacherous currents and no dangerous fish. Coupled with the incomparable Mediterranean summer sun, it makes for an enticing reason to leave today's troubles for some other time and just head for the beach. I know what you are thinking: you are coming in February which you think means cold winds and icy rain showers. But not in Malta! Trust me. 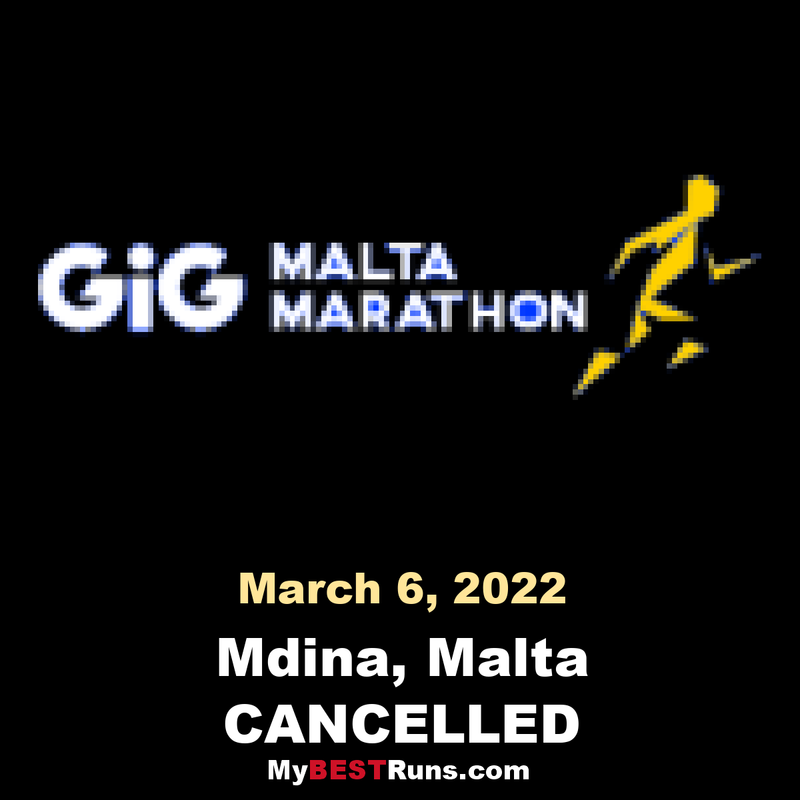 Year after year the Malta Marathon surprises all our North European competitors with its sunny warm temperature, the perfect excuse for pulling on those shorts and running vest and taking part in a race you will not forget for a long time. Six-time Malta Marathon winner Mohammed Hajjy had to settle for second place in the 2018 edition on Sunday morning, being narrowly beaten to the finish line by Moroccan compatriot Said El-Baazouzi. El-Baazouzi crossed the finish line with a time of 2:18:31, with Hajjy making it in 2:18:58. Kenyan runner Henry Kipsang, who was tipped as one of the frontrunners alongside Hajjy, came in third place with a time of 2:25:06, despite a strong start which saw him lead in the early stages. Andrew Grech was the first Maltese runner to cross the finish line, coming in seventh with his time of 2:30:15. Polish runner Anna Wasik's time of 2:53:47 placed her first among all female marathon runners competing, with the Czech Republic's Nikolina Sustic in second (2:56:38) and local athlete and last year's winner Josann Attard Pulis in third (3:00:48). The top runners led a pack of 970 runners who registered to take part in the full marathon this year.A further 3,700 took part in the half-marathon, with the combined total representing a record high for the yearly event. 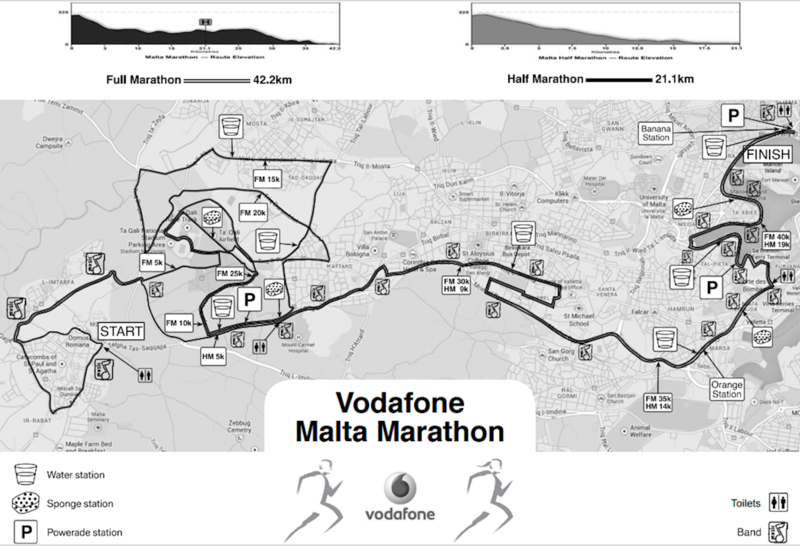 While the number of Maltese participants dipped slightly from last year's edition of the Malta Marathon, the shortfall was made up by an increase in the number of foreign participants, with 2,874 runners flying in from overseas to compete in the 33rd edition of the Malta Marathon. Fabian Downs from Switzerland (1:09:28) and local runner Charlton Debono (1:09:35) placed first and second respectively among men in the half-marathon. Maltese athlete Luke Micallef placed third (1:11:49). Lisa Marie-Bezzina was the first woman to cross the finish line, clocking in with a time of 1:19:27, with Roberta Schembri in second place with a time of 1:20:58 and Mandy Dohren of Great Britain in third with 1:21:10.